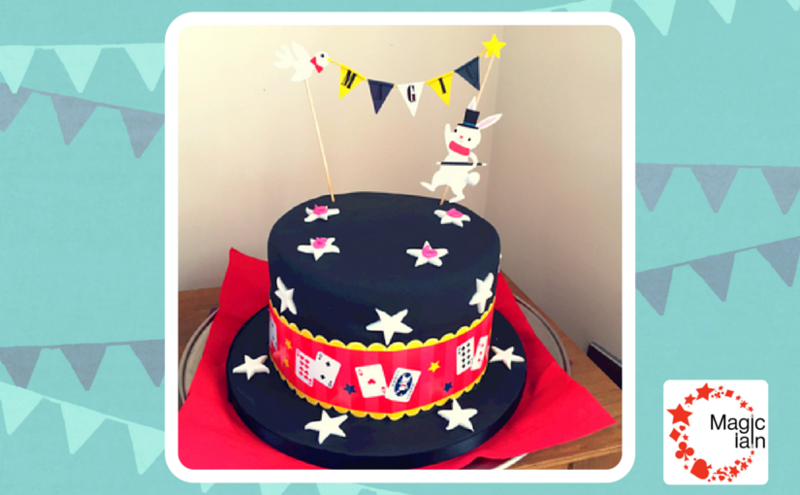 A Magic Hat Birthday Cake! I LOVE this cake and felt I had to take a photo of it as soon as I saw it. It was made by Amy’s Mummy for Amy’s 6th birthday party this weekend just gone. I’m lucky I get to see lots of different birthday cakes. I’ve even got a Pinterest board with ones I find online, but it’s rare I see a magic-themed one. Next Next post: Sorry Jimmy’s Farm – baby Austin had other ideas for Daddy on Saturday!